Many have asked how religion looks at Ghost Hunting and investigating as promised. We 've done a little research and have approached it from the "Christian" point of view (since we are Christians). 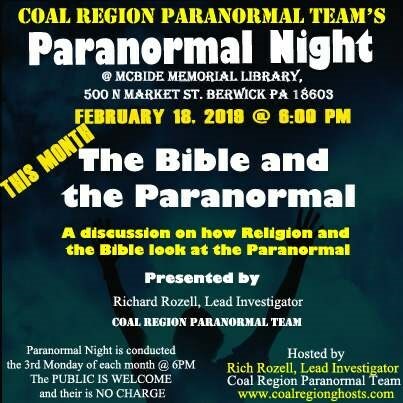 This presentation will stimulate respectful debate and opinions, it is NOT intended to disregard any point a view... since you all know where the Paranormal is concerned it is in what ... "we believe".